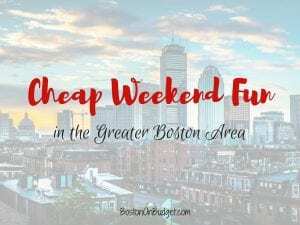 Cheap Weekend Fun in Boston for December 1-2, 2018! Mayor’s Enchanted Trolley Tour and Tree Lighting: November 30-December 2, 2018 in neighborhoods across the city. Mayor Walsh will be lighting Christmas trees and bringing joy and presents to various neighborhoods in Boston. Primark Nutcracker Meet-and-Greet: Saturday, December 1, 2018 at Primark in Downtown Crossing. Head to Primark from 10-2PM to meet the characters of Boston Ballet’s The Nutcracker. Holly-Day on the Harbor: Saturday, December 1, 2018 from 12-2PM in Waterfront Square at Atlantic Wharf. Enjoy this family-friendly holiday celebration with music, arts and crafts, holiday treats, and more! SoWa Winter Festival: November 30-December 2, 2018 at 540 Harrison Avenue in the South End. Enjoy this makers marketplace with over 100 unique vendors and holiday gifts.